Warehouse is hands down my favourite high street clothing brand. Whether it’s to find an outfit for an event, work or just casual wear, they never fail to disappoint and you can always find something. Right now they have a sale on which isn’t just a collection of the items that didn’t sell earlier on, like some other stores. You will always find a bargain and some great garments that you may have missed when they were full priced, and if you’re like me, then you’ll come out with several items! Luckily I managed to stumble upon the sale on day 1. The best value for money is this black pencil dress. It’s faux leather on the front and back with denim on the sides. Figure hugging and can be dressed up or casually, I would recommend going up a size in this one as the denim makes it very tight. This was £45 reduced to £10!!! And that was the first mark down in the sale. I love this button shift dress. I saw this when it was full priced but managed to resist temptation until it was reduced. 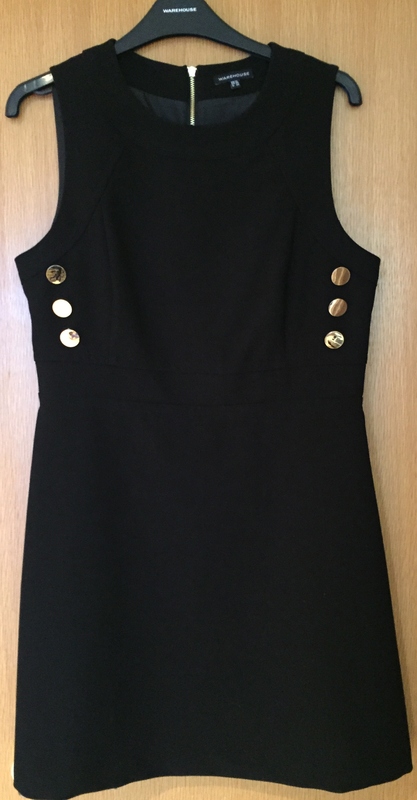 60s inspired with gold buttons, this is a timeless piece. It has a visible gold zip down the back and can easily be dressed up or down. This was £50 reduced to £30. 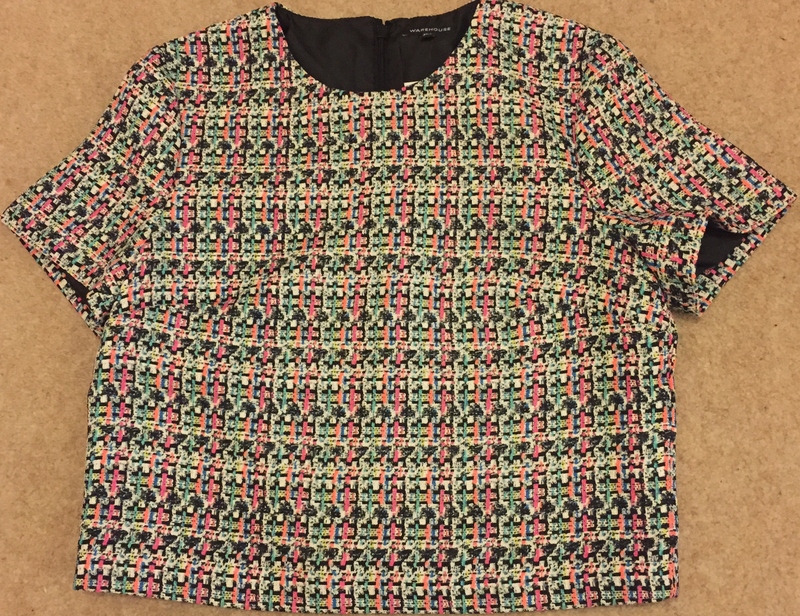 This fluro print tweed top is slightly cropped as there is a skirt to match to leave the inch midrift look. 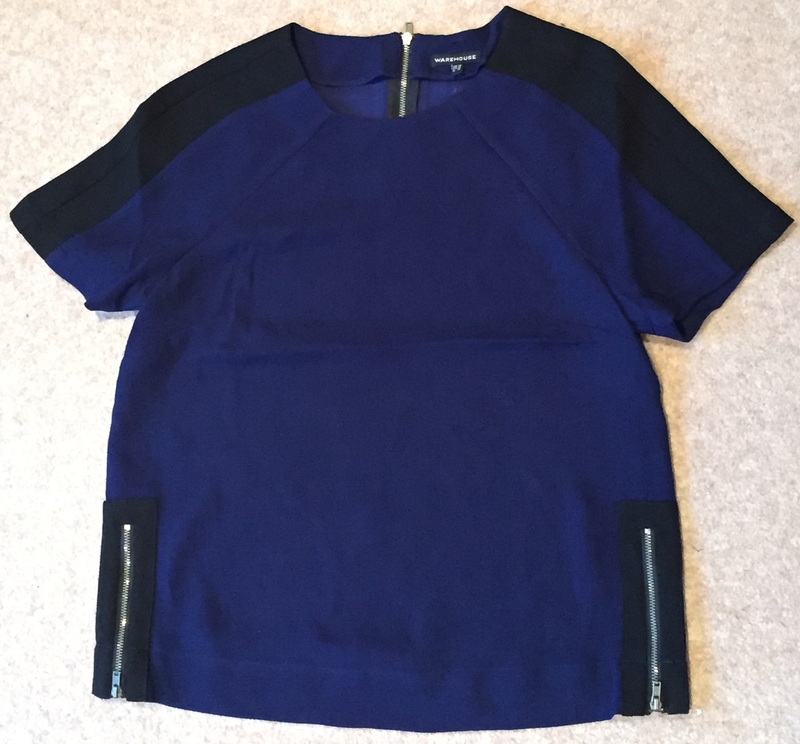 I opted only for the top as I think this will be cool to team up with a black vest visible at the bottom, teaming up with skinny jeans and heels. The colours are vibrant and you will definitely stand out in this. This was £35 reduced to £20. 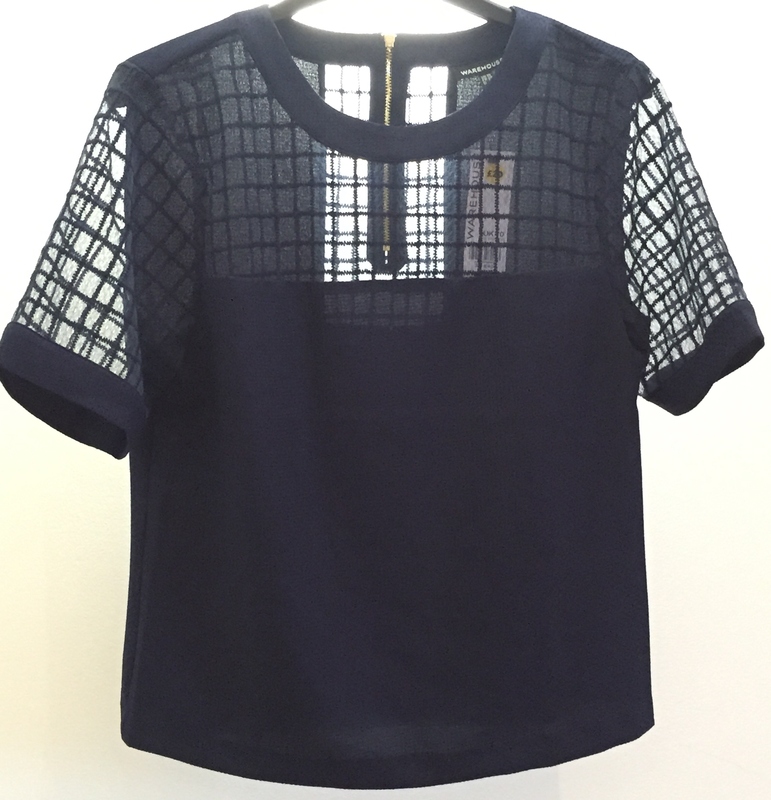 Navy is my favourite colour and although this top looks relatively plain, once on it comes to life. Teaming up with a statement necklace, this top has black panels on the shoulders, small visible zips on the side and down the back. The material is bold and textured but light weight for Spring. This was reduced from £40 to £18. This top is rather quirky with a stylish vibe to it. The main material has a faint check through it and the top is like a mesh material. I think this would be perfect workwear under a suit for added glam and power. It has a gold visible zip on the back. This was reduced from £32 to £20. 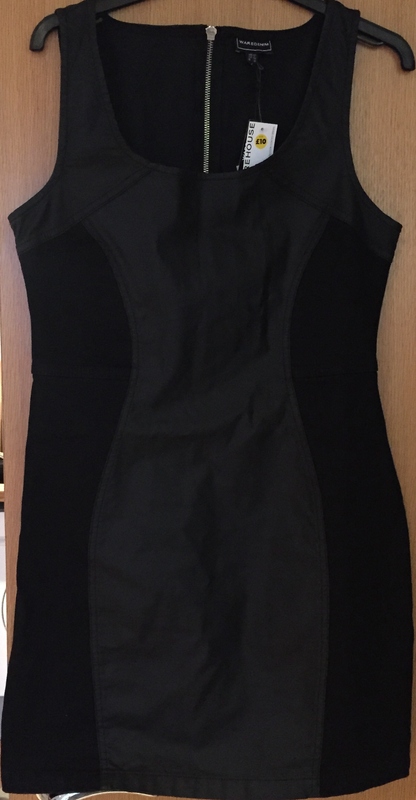 This black top is so versatile and is perfect for taking the day into night. It’s a thick material which oozes a luxurious feel. This is also aided by the silky panels down the side. I think that this will look gorgeous teamed up with some leggings and heels, as it is slightly longer in length. Alternatively, over a pair of black skinny jeans and a statement necklace. This one was reduced from £40 to £25. 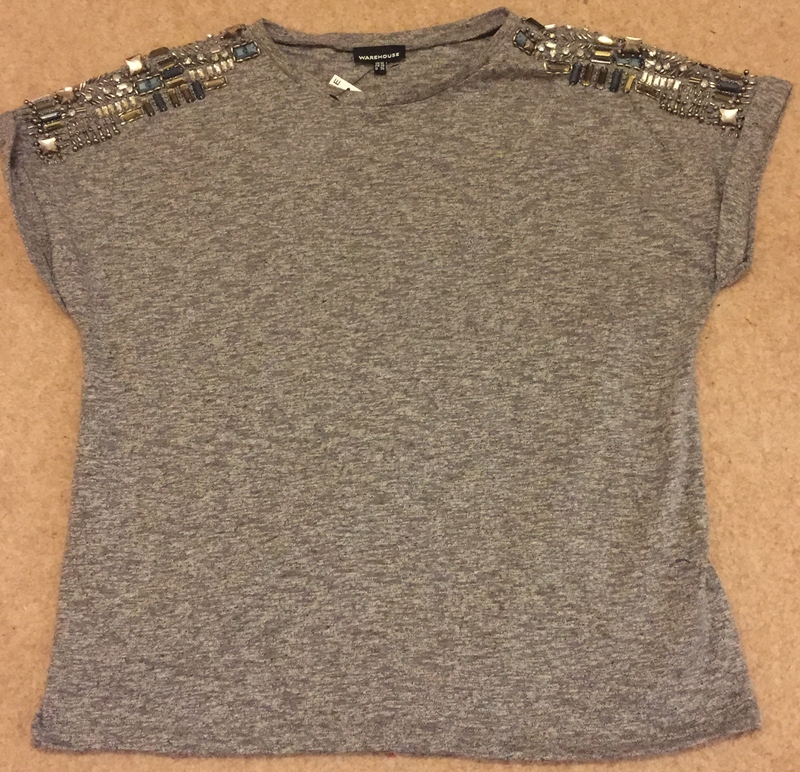 Finally, I picked up this gorgeous grey marl embellished T Shirt. It has a boxi fit however if you take a size down it will be more fitted. 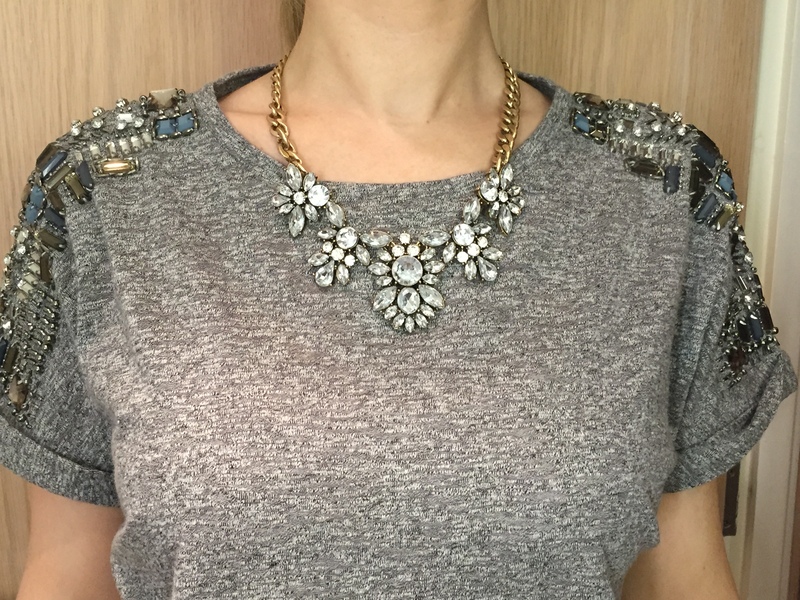 I teamed it up with some skinny jeans, ankle boots and this glam necklace by Happiness Boutique. I have posted about where you can purchase that from so please check out my other blog posts. 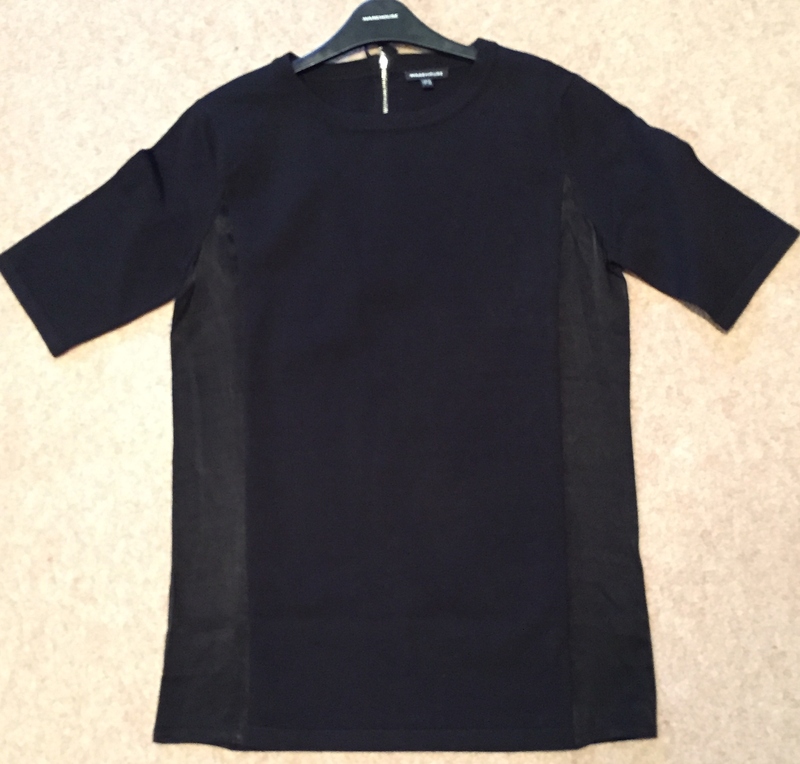 This garment is new instore so was not marked down. It retails at £38. 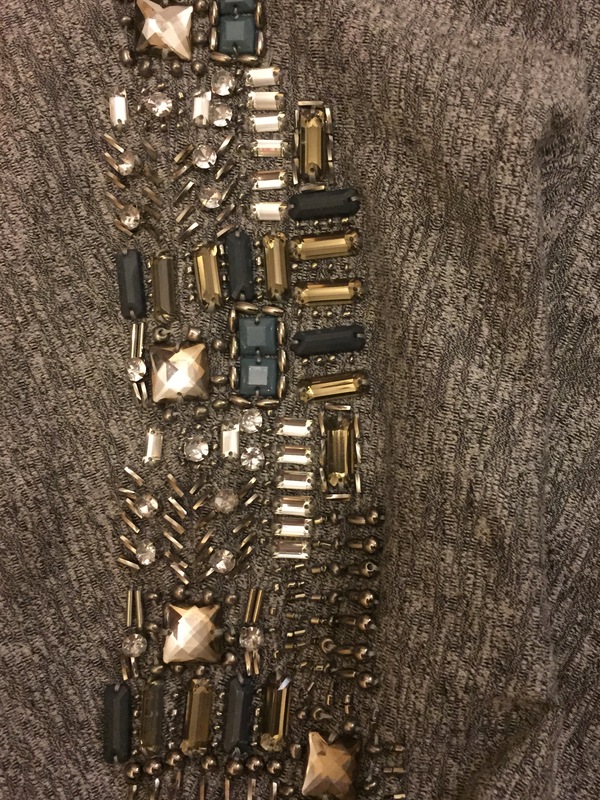 Let me know if you managed to pick up any bargains and your thoughts on my finds. Warehouse delivers internationally so even if you don’t live in the UK you wont miss out. ← BAFTA Goodie Bag – I’m lucky enough to have one! !